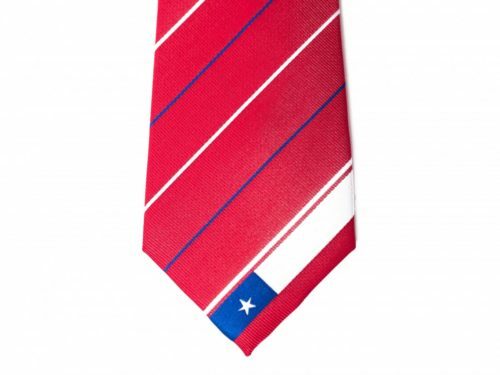 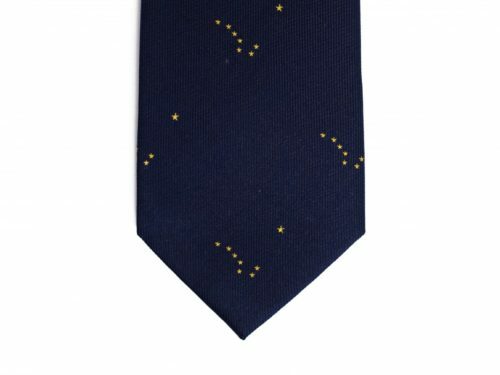 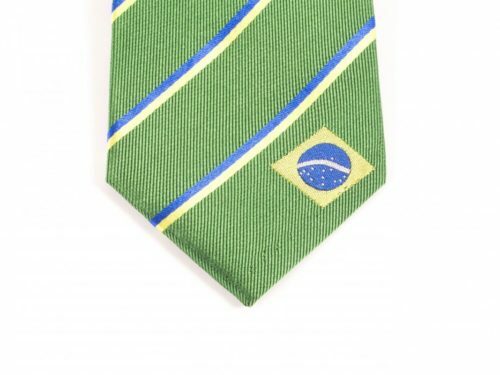 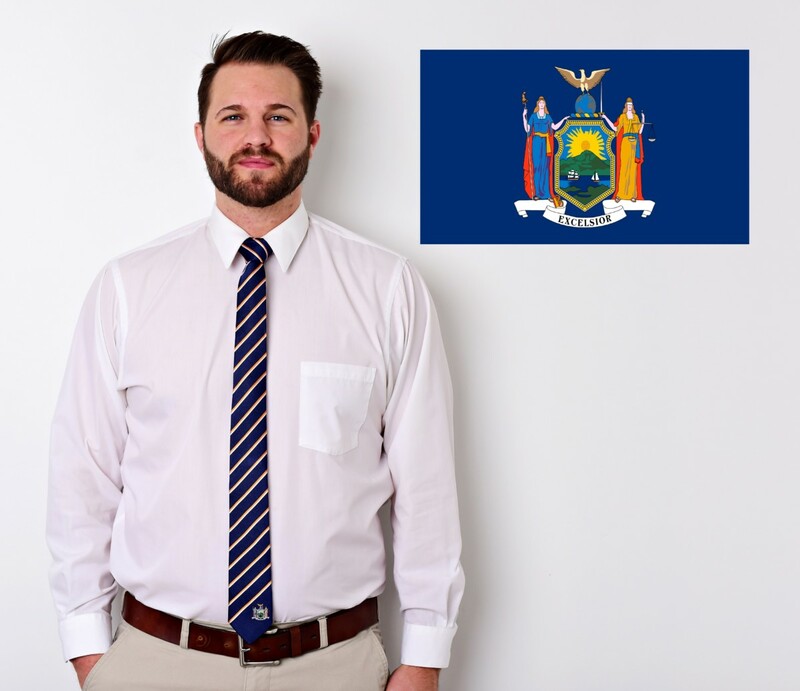 Statesman Tie’s New York tie was designed with elements of the New York flag in mind. 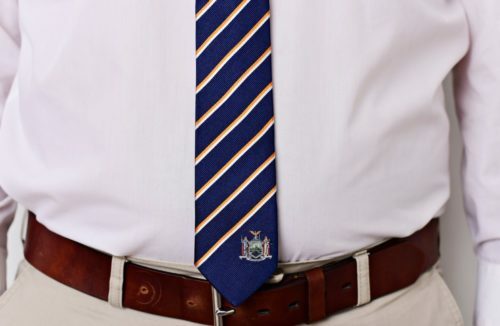 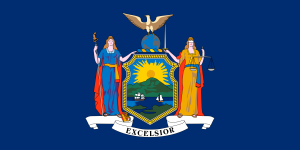 The symbol from the middle of the flag is used as the logo for our New York tie. We also decided to use orange as a color for one of the stripes to tie in the flag of New York City as one of the design elements as well. 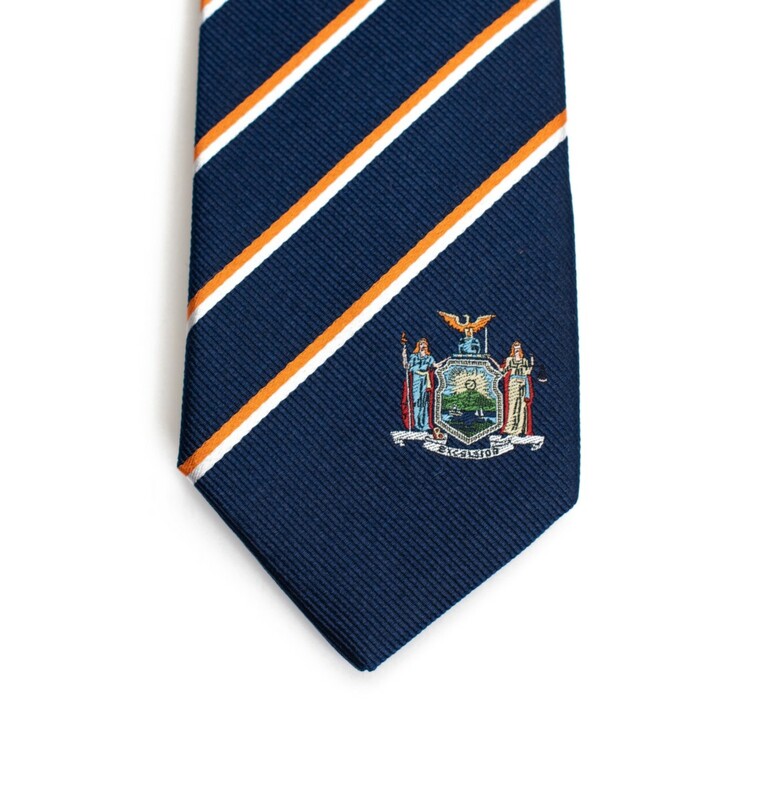 The navy blue in the tie is used to represent the blue from the New York flag. 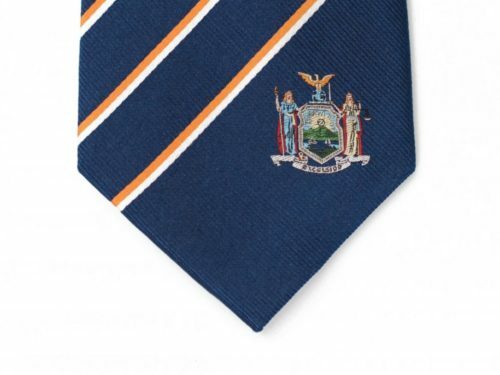 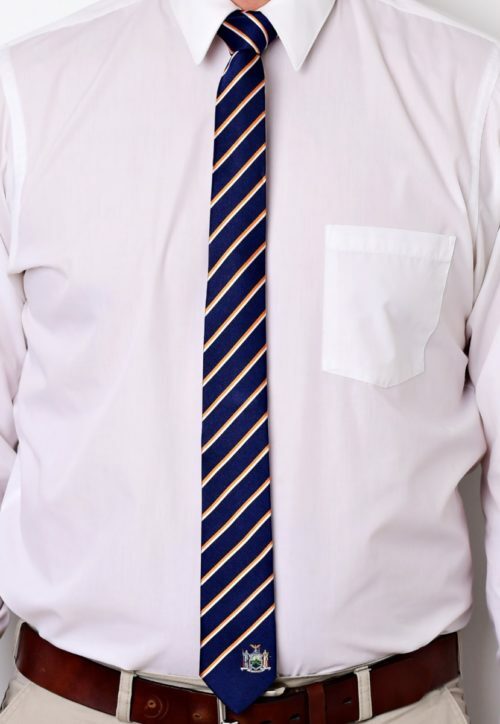 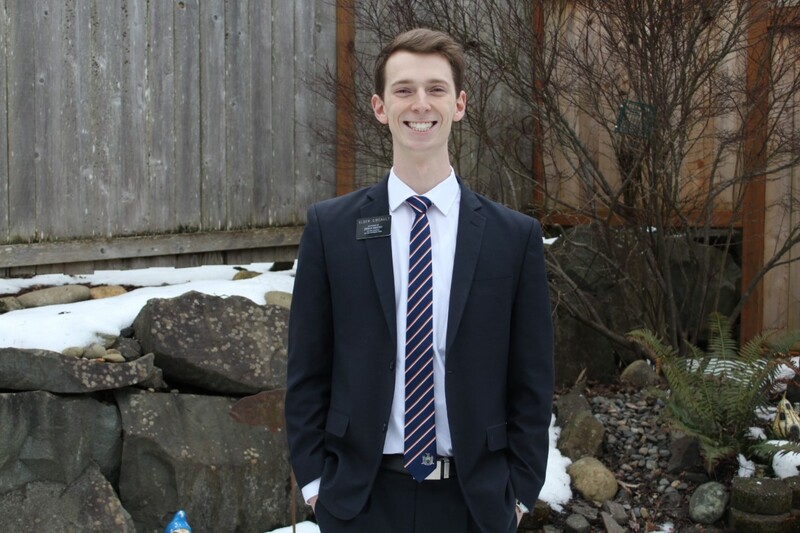 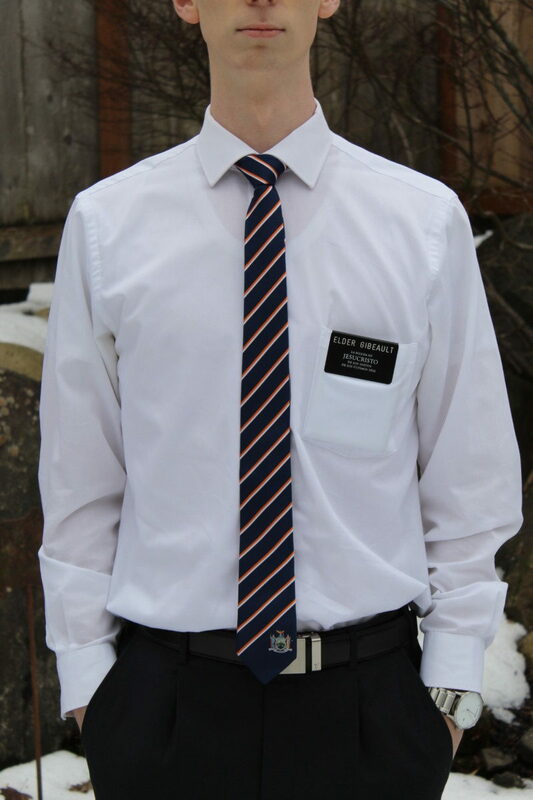 The New York tie is a great gift for missionaries, businessmen, and anyone who loves New York. 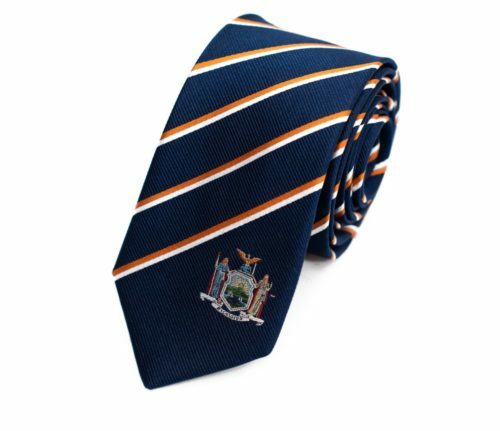 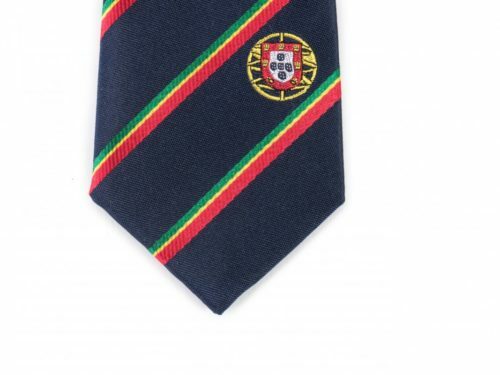 Our high quality New York tie is made with 100% woven silk and measures 61″ long x 2.5″ wide. Represent New York with pride by showing everyone where you’re from, where you’ve been or where you’re going.